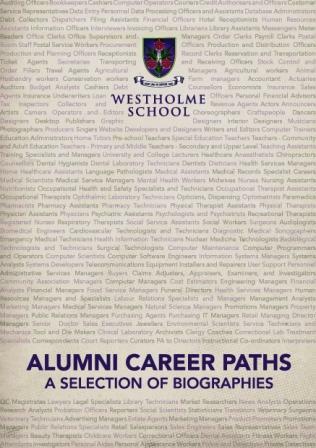 Westholme is very pleased to launch its Alumni Career Paths e-book, illustrating the variety of work our former pupils have chosen. There are over 100 examples of amazing career paths, from surgeons to coffee buyers! Thank you very much to all the former pupils who wrote in. It will be well used by the current pupils and will inspire them to think beyond the obvious.